Sentient Adderall prescription Logan Paul is back, folks! Even if you’re not subscribed to his channel or interested in his varsity ice hockey meets self-help cult schtick, you might know that already thanks to YouTube. Earlier this week, the site decided to push a notification about Paul’s new video to scores of users who had never opted into receiving them. When we last saw Paul on YouTube, he had taken his act on the road to Japan, where he was seen being a public menace and yelling at complete strangers. One such video, which he filmed in Aokigahara—the “suicide forest” near Mount Fuji—featured the dead body of a man who appeared to have hung himself, and which Paul and his friends made light of during the vlog. Given Paul’s audience of 16 million subscribers, it quickly set off a firestorm of controversy. Paul deleted the video shortly after it was uploaded and took a month-long hiatus. YouTube later took credit. Besides Paul’s propensity for dickhead antics, the erroneous notification is all the stranger because YouTube’s notification system is known for being barely functional. Various minor controversies have stemmed from creators allegedly not having their uploads appear in subscribers’ feeds, leading to videos begging viewers to “bell” them (i.e. turn on channel-specific alerts). That issue appears to be ongoing, but in the meantime, here’s some Logan Paul! But let’s hear him out. 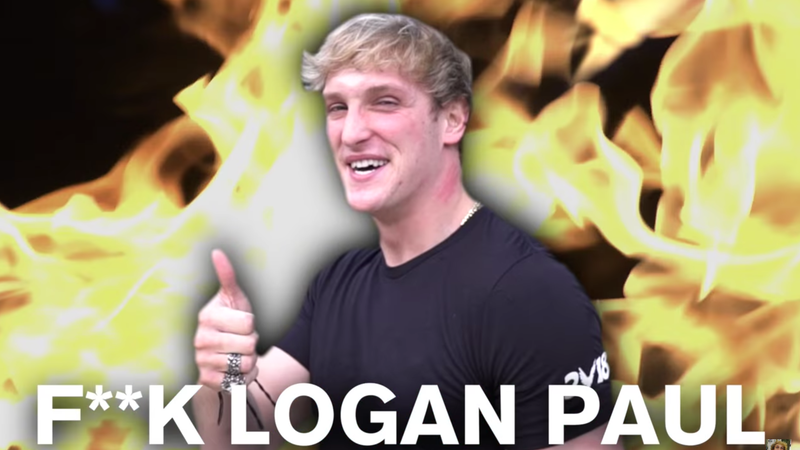 Maybe this new vlog is important enough to convert us, the Logang haters, to realize Paul has turned over a new leaf.